​Hi! My name is Jodie Solberg and I am the proud mama of 2 Basset Hounds-Griffey and Clarabelle (formerly Bella), who I adopted from BROPS in 2014. I am an Independent Sales Director with Mary Kay Cosmetics and I am so excited to be able to give back to BROPS through my business! For the month of February, I will be giving my profits to BROPS for all orders place on my website at www.marykay.com/jsolberg with the code BROPS typed in the comments section. We have amazing skin care, color cosmetics, fragrances and body care and lots of great Valentine's gift ideas as well. 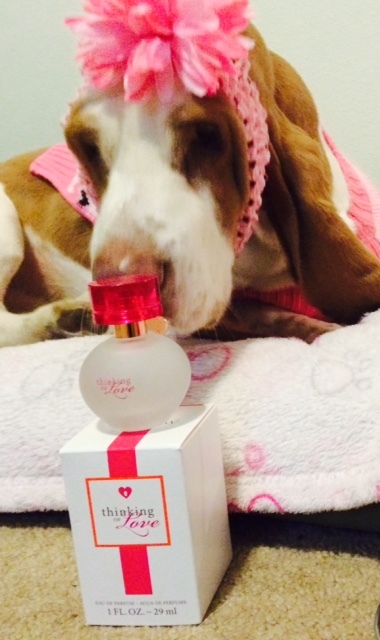 As you can see, Clarabelle thinks our Thinking of Love perfume is the perfect gift! Please feel free to reach out to me with any questions you may have. Thank you to BROPS for all that they do!